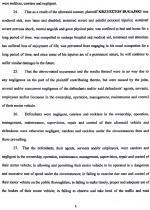 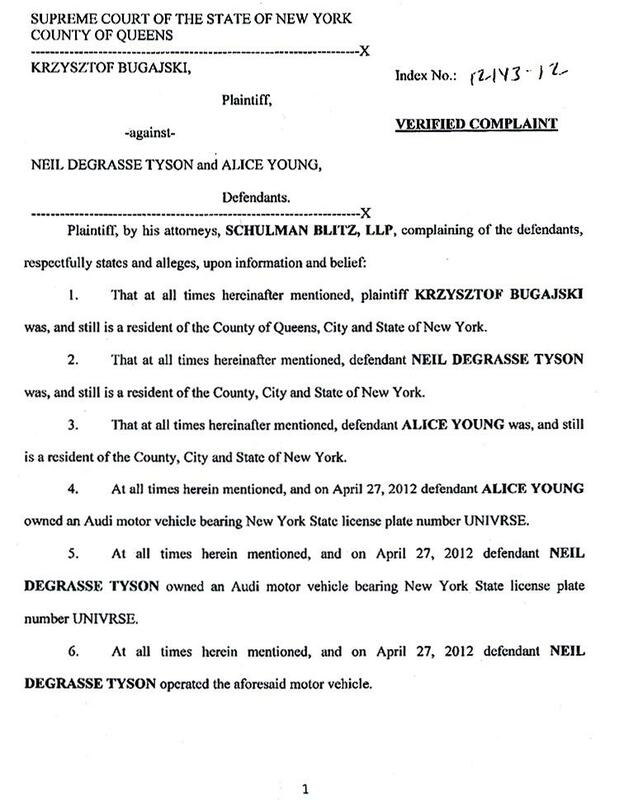 APRIL 4--Astrophysicist Neil deGrasse Tyson was driving an Audi with “UNIVRSE” license plates when he “zoned out” and sideswiped one vehicle before rear-ending another car, whose driver is now suing the “Cosmos” host for $5 million, according to court records. 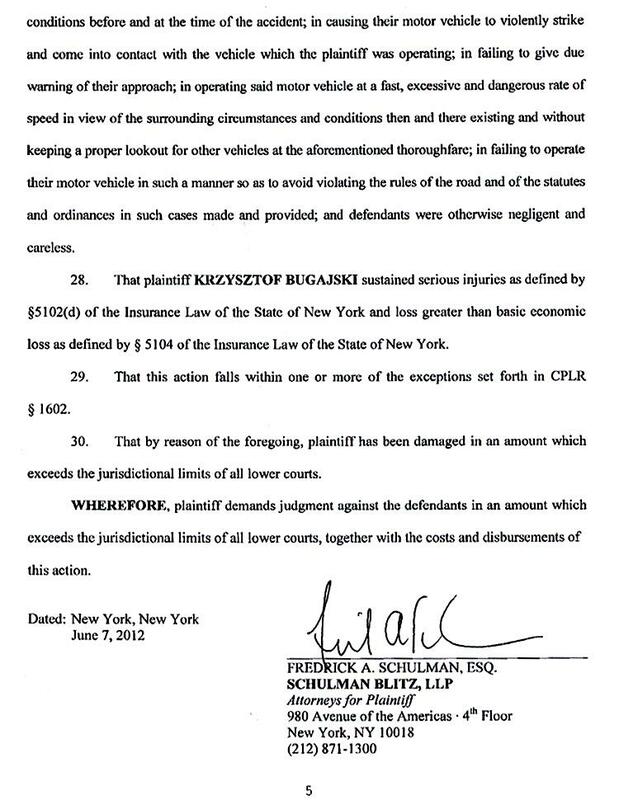 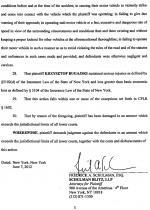 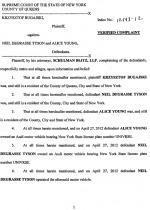 A trial date is set for next week in the New York State Supreme Court case, though a postponement is likely. 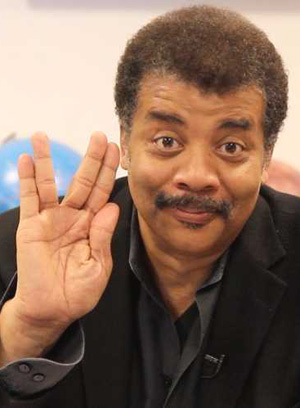 The April 2012 accident occurred after Tyson, 55, had gone to John F. Kennedy International Airport for the arrival of the space shuttle Enterprise. 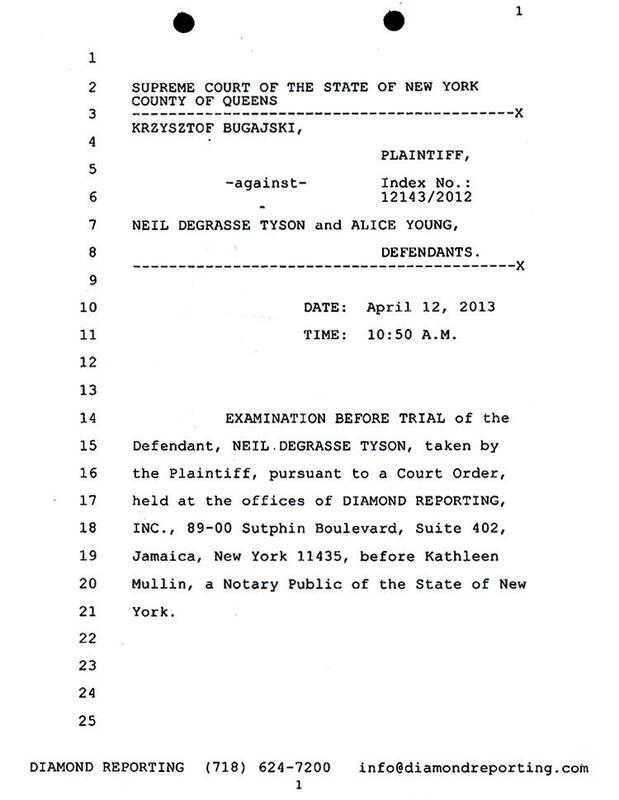 On the drive home that afternoon to his Manhattan residence, Tyson’s 2007 Audi struck a 2001 Dodge Intrepid being driven by a 30-year-old Connecticut woman. 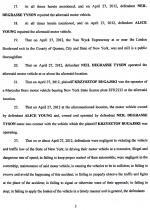 His vehicle then hit the rear of a Mercedes-Benz being driven by Krzysztof Bugajski, 47. 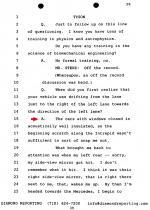 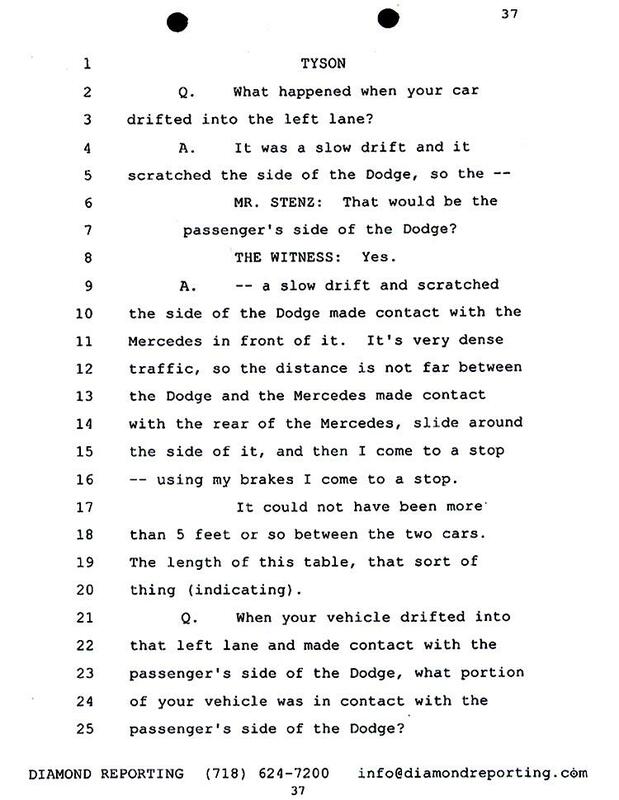 Tyson said that when the Audi’s side-view mirror struck the Dodge, the impact “wakes me up. 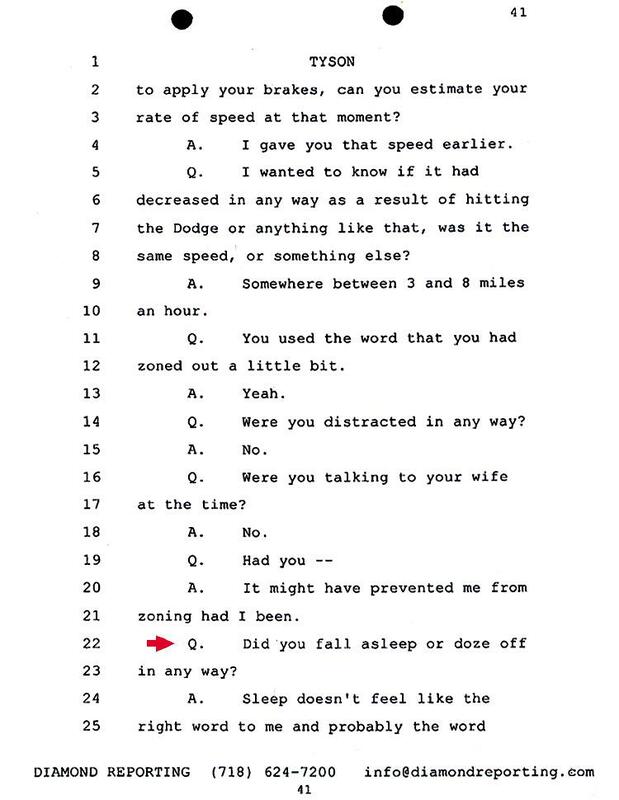 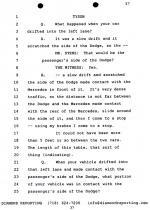 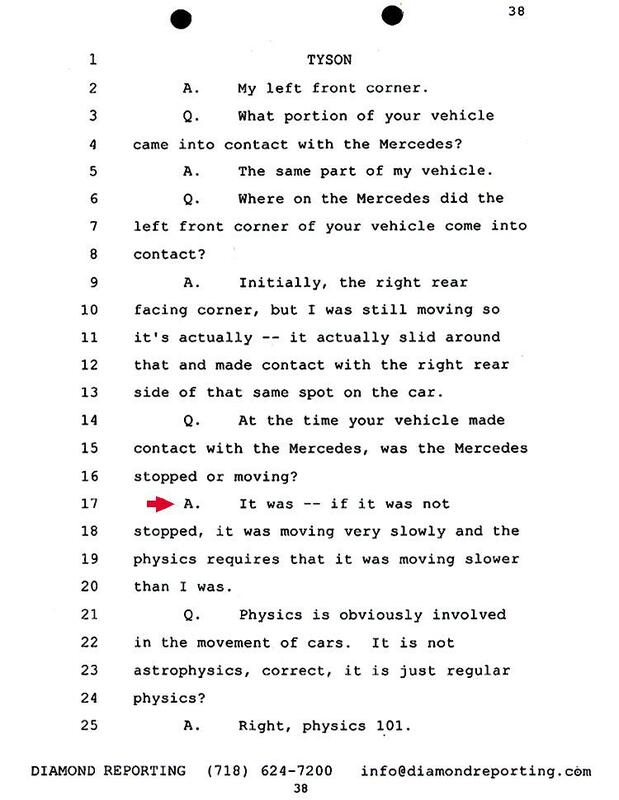 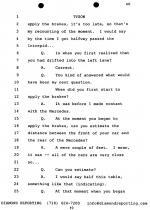 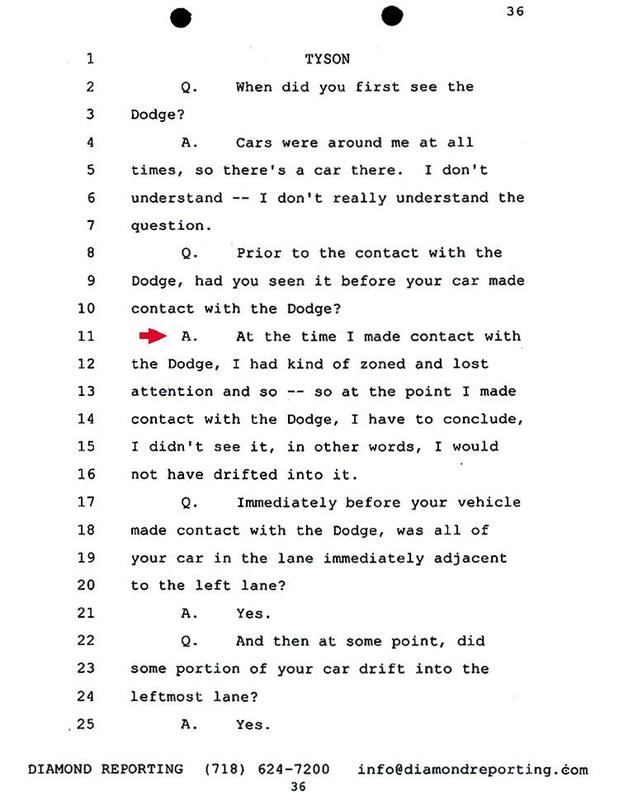 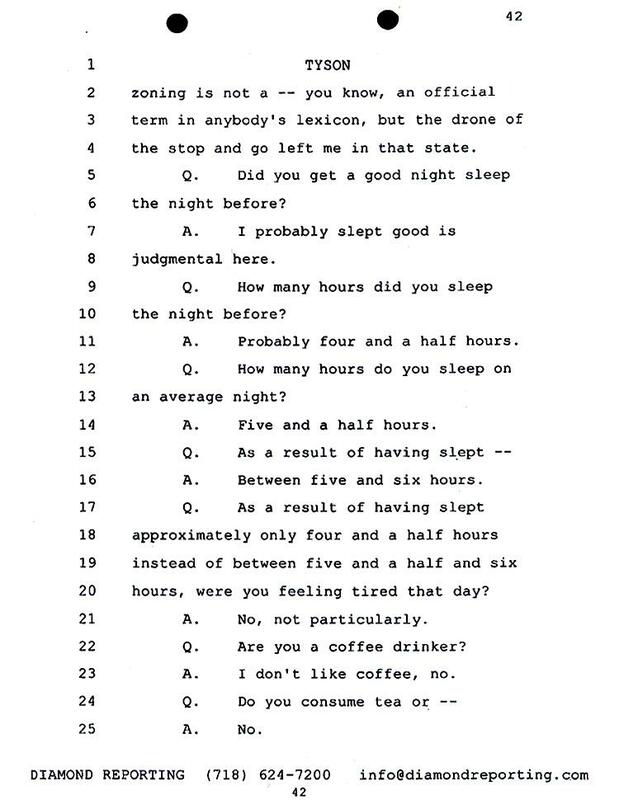 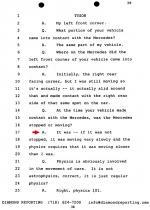 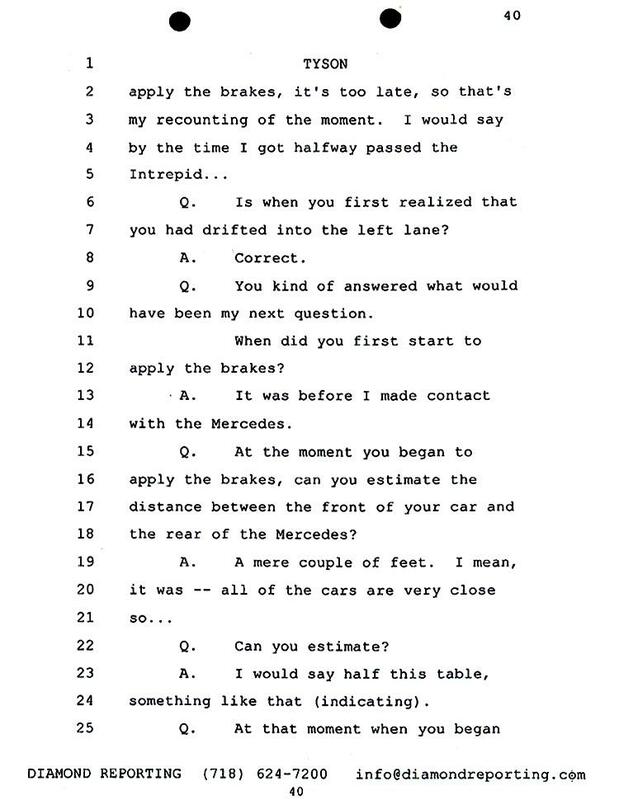 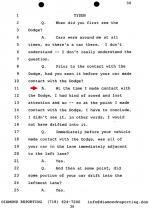 By then, I’m headed towards the Mercedes, I begin to apply the brakes, it’s too late.” Tyson initially testified he was traveling about three to eight miles an hour, but upped that estimate to five to ten miles later in the deposition. 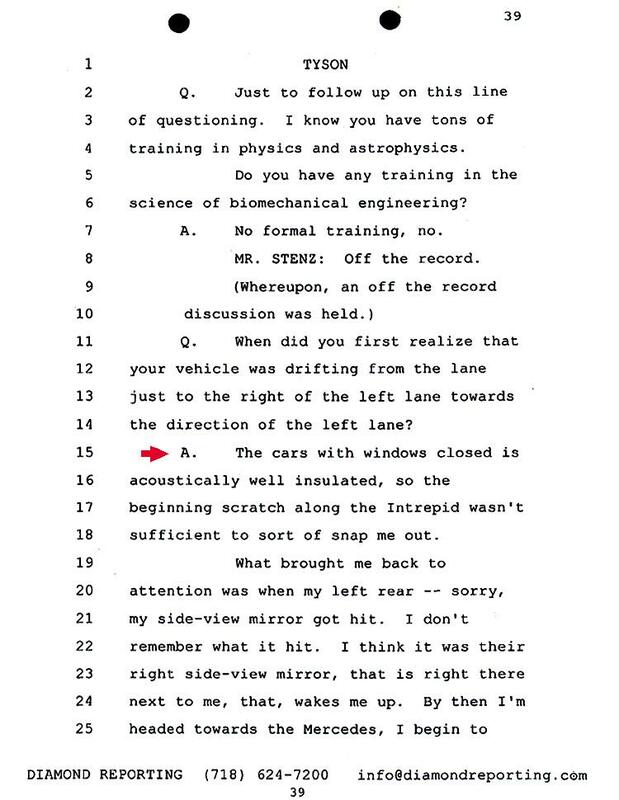 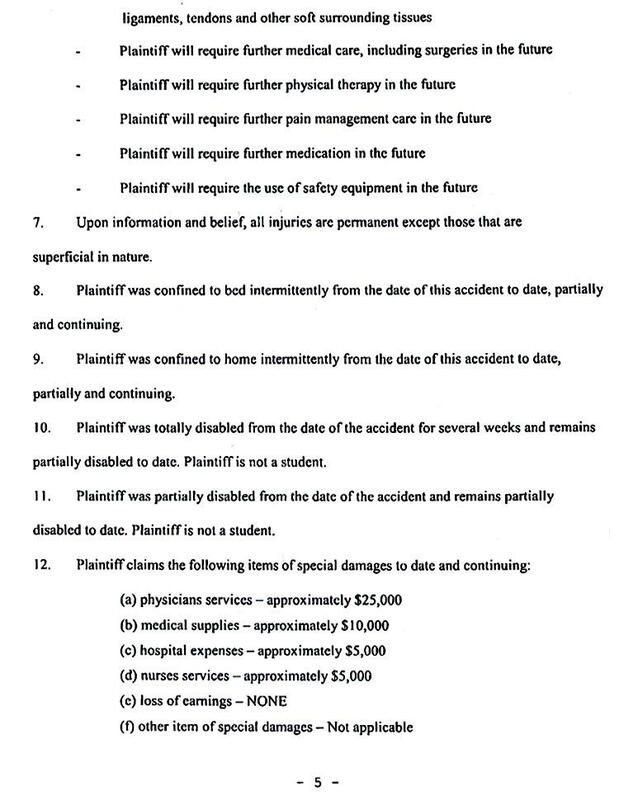 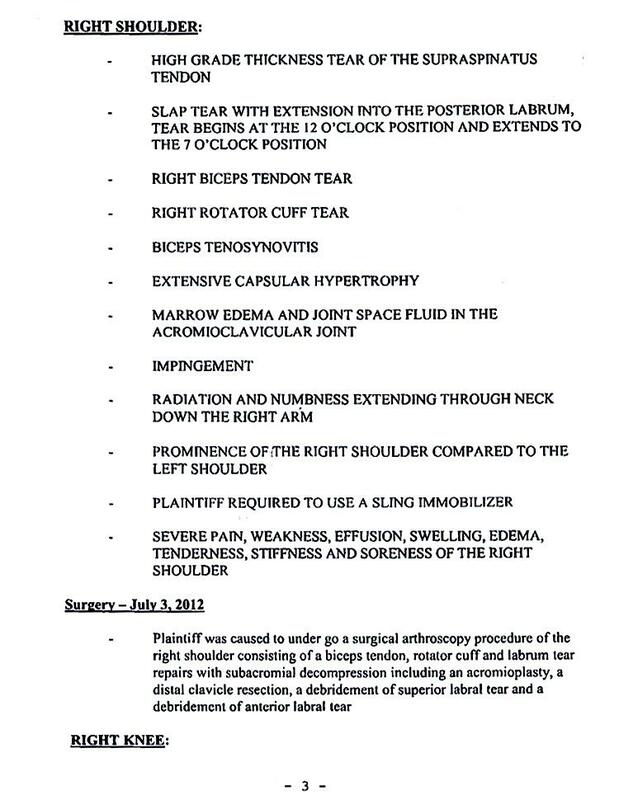 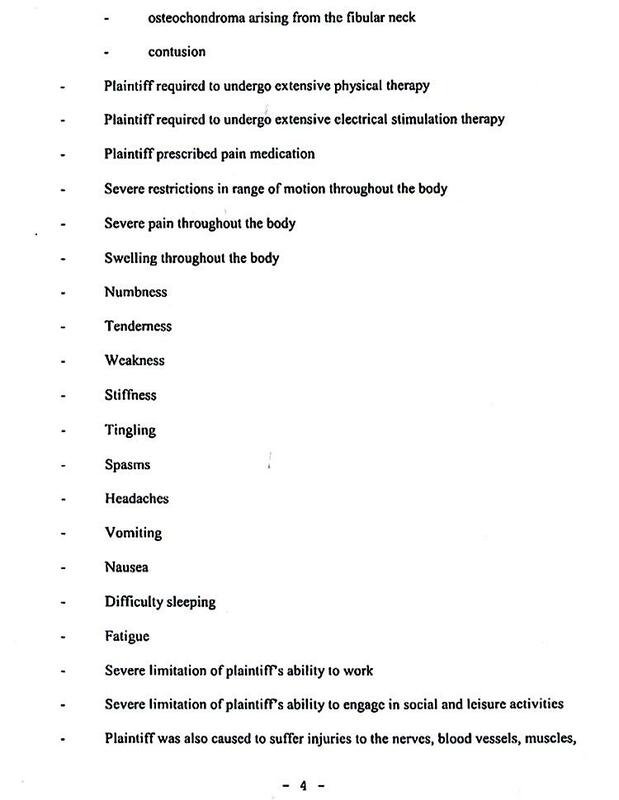 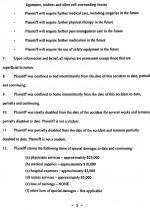 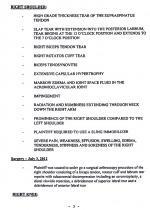 Bugajski’s complaint alleges that Tyson dozed off as he was driving at an “excessive, illegal and dangerous rate of speed.” The resulting collision reportedly left Bugajski with a severe shoulder injury that required arthroscopic surgery and continuing rehabilitation, as well as injuries to his right knee, according to court papers filed by his lawyer Justin Blitz. 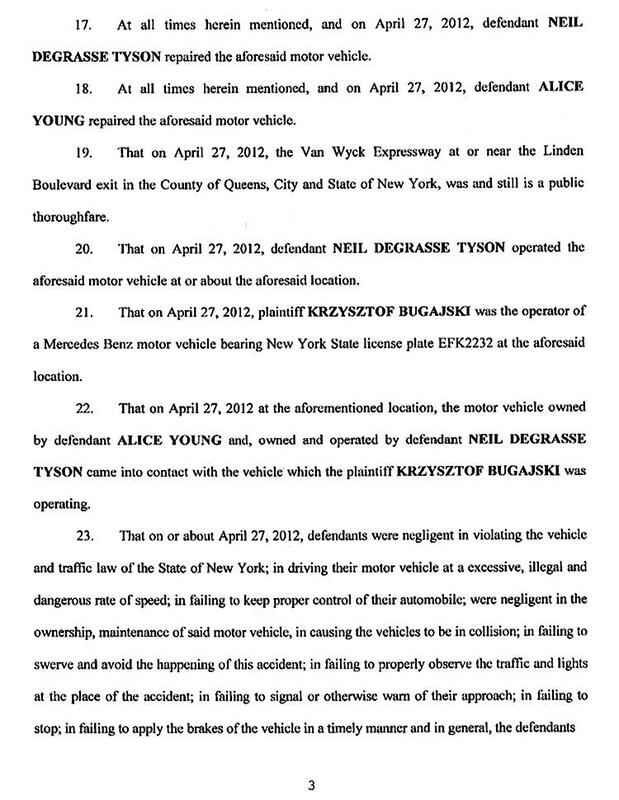 Bugajski, a Queens resident, was driving a Mercedes owned by Lew Frankfort, executive chairman of Coach, the luxury goods firm. 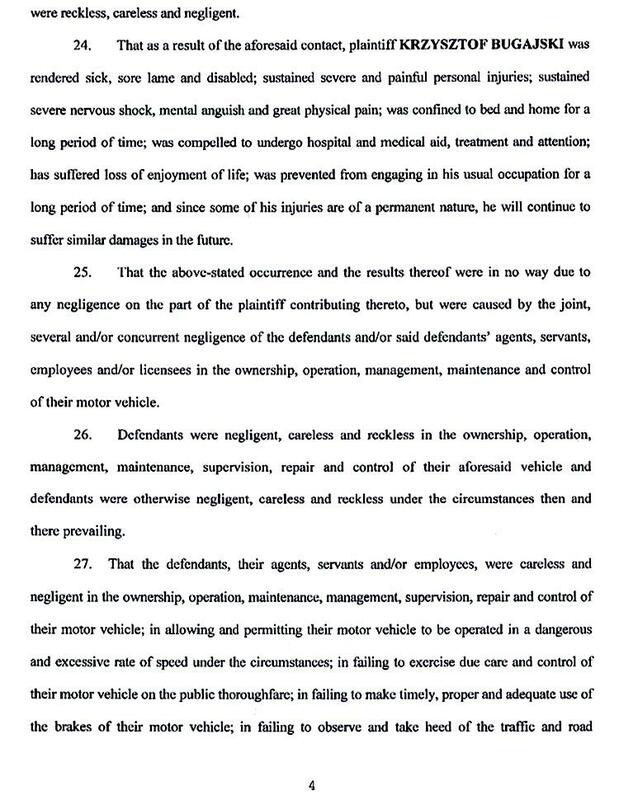 According to Bugajski’s deposition testimony, he works for Frankfort as a driver/personal assistant who also handles household chores for the businessman. 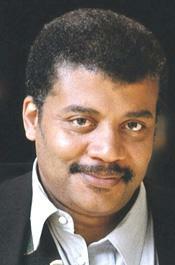 Frankfort lives across the street from the Hayden Planetarium, where Tyson serves as director. 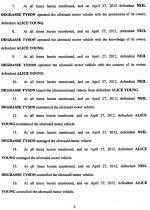 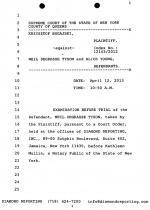 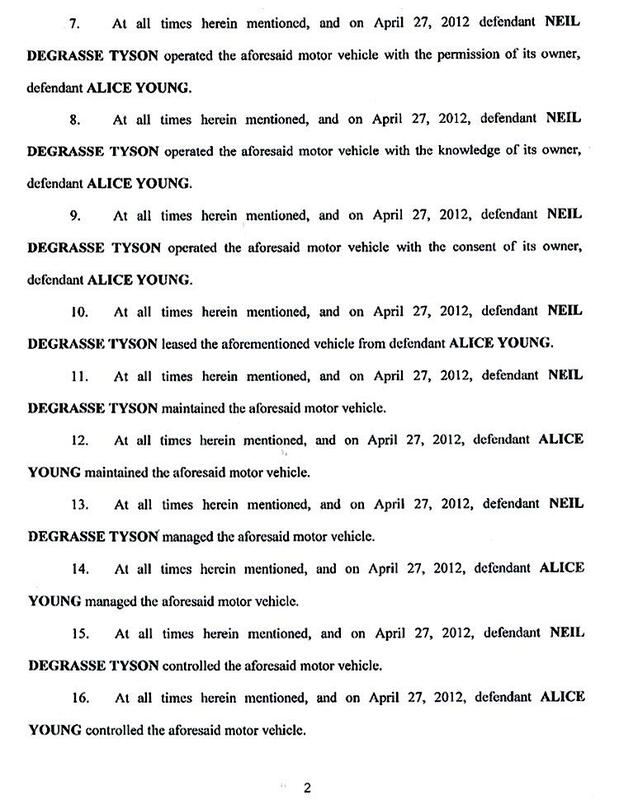 Tyson’s wife Alice Young, a passenger in the Audi, was originally named as a defendant in Bugajski’s lawsuit, but was subsequently dropped from the case .